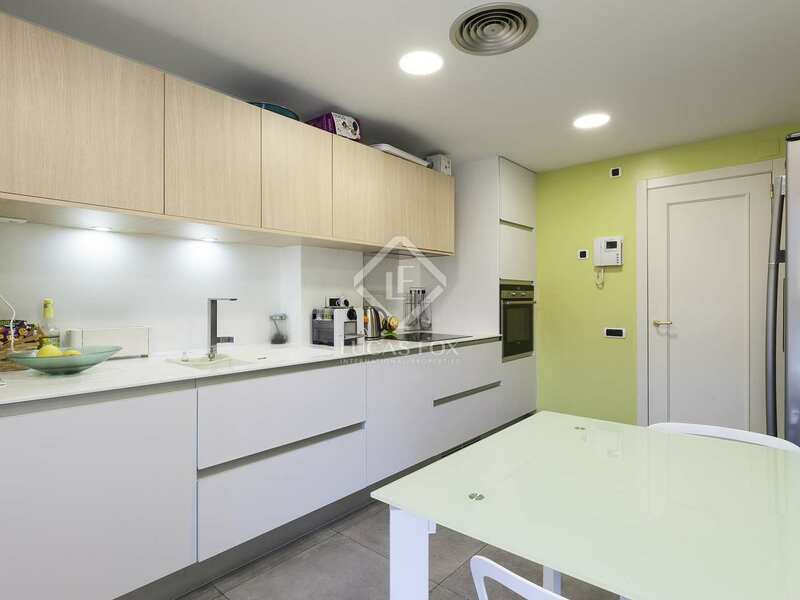 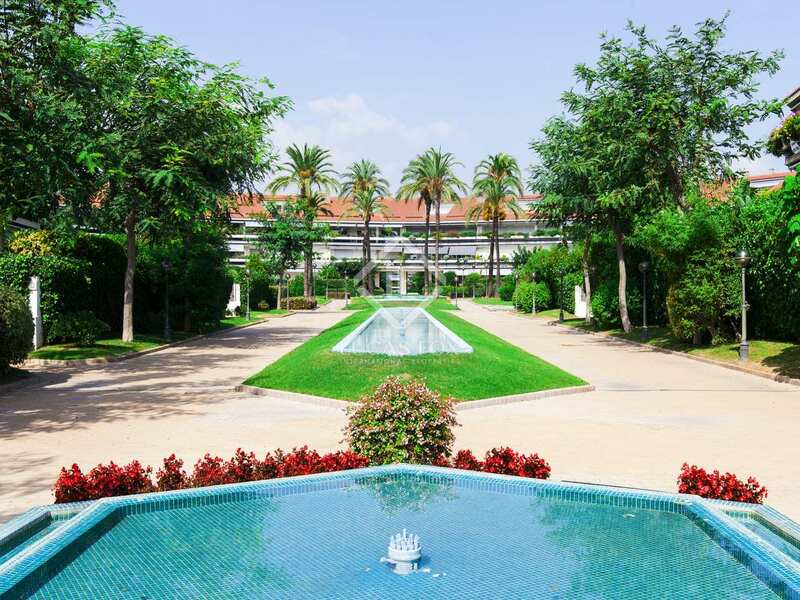 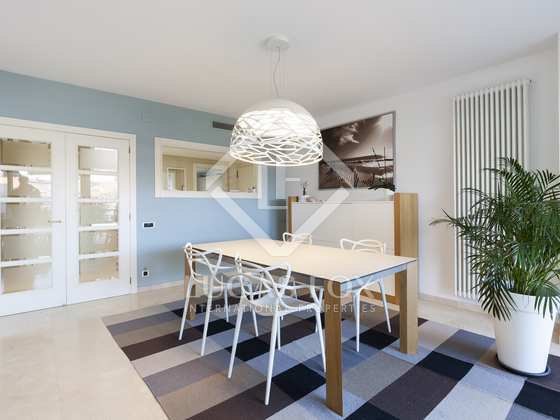 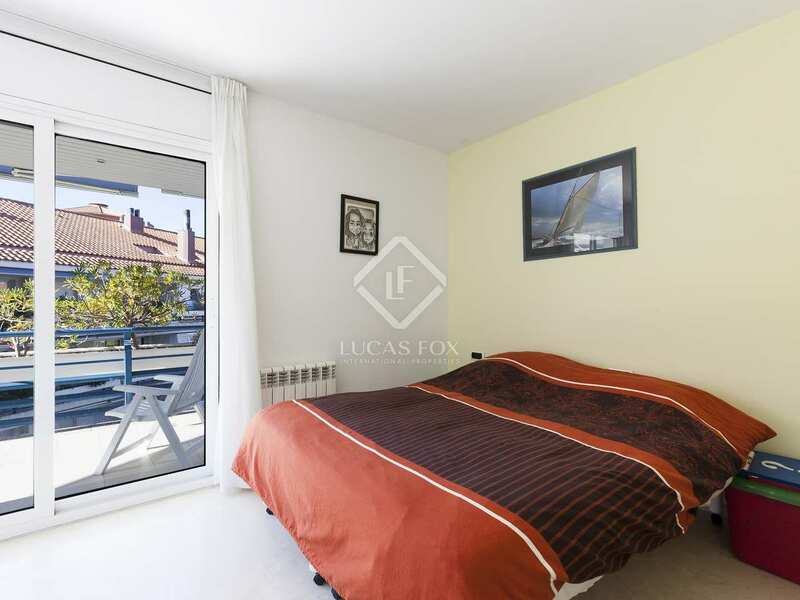 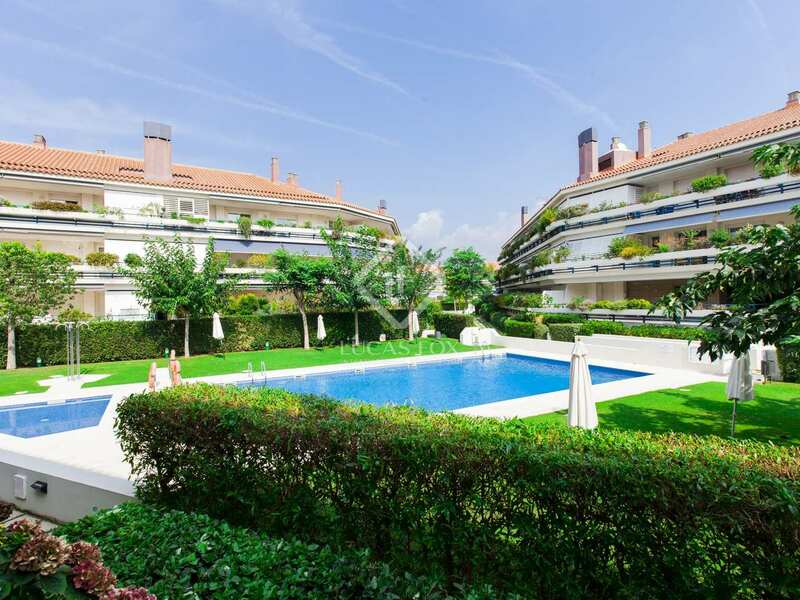 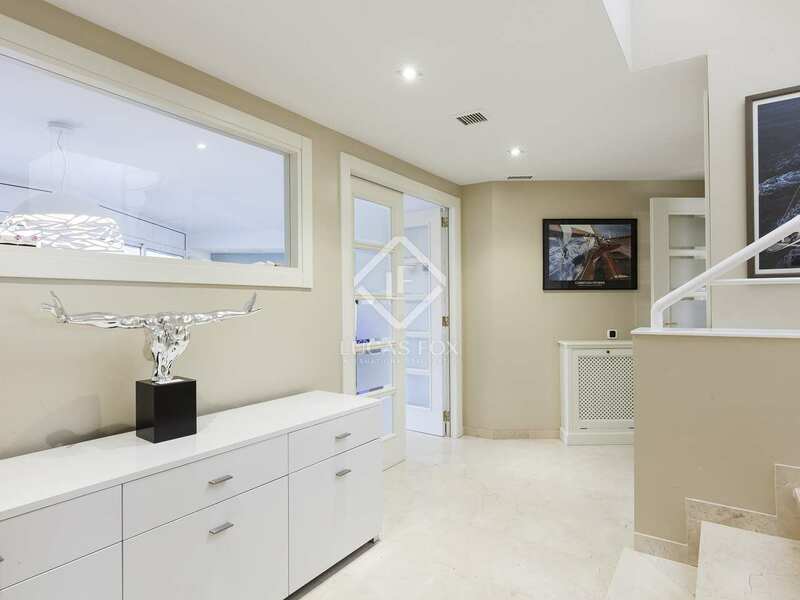 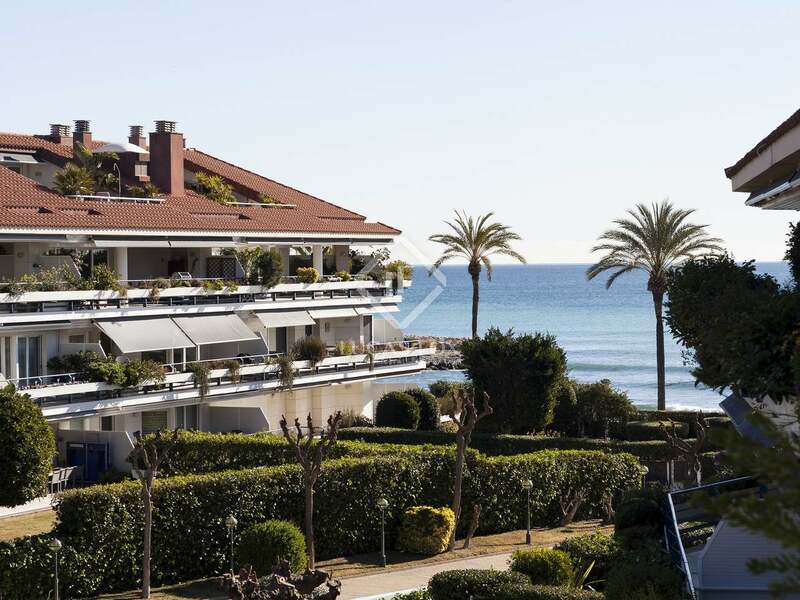 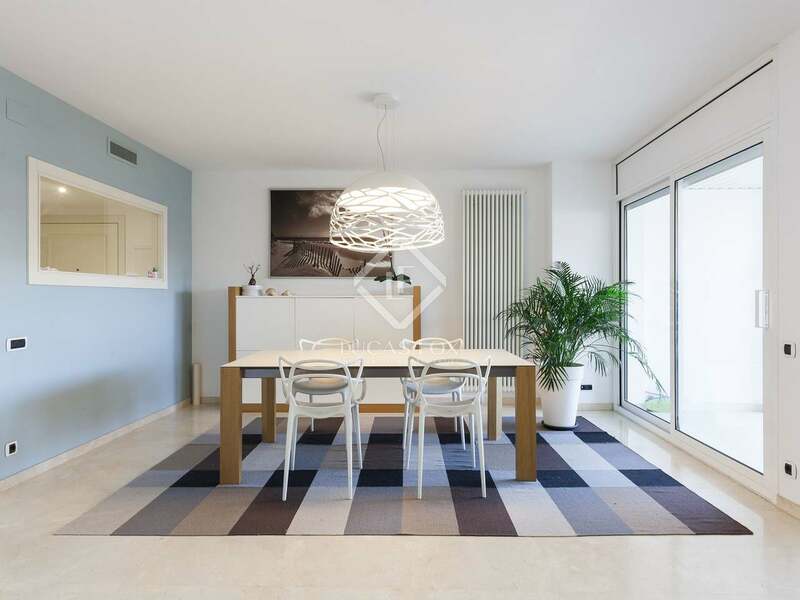 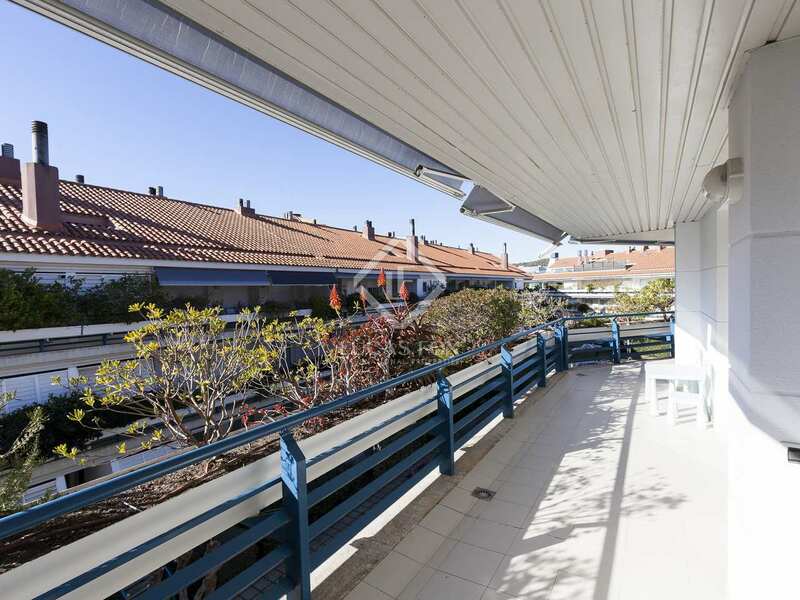 This modern penthouse duplex is situated in the Parc del Mar beachfront complex with 24-hour security, a well maintained communal garden with a swimming pool. 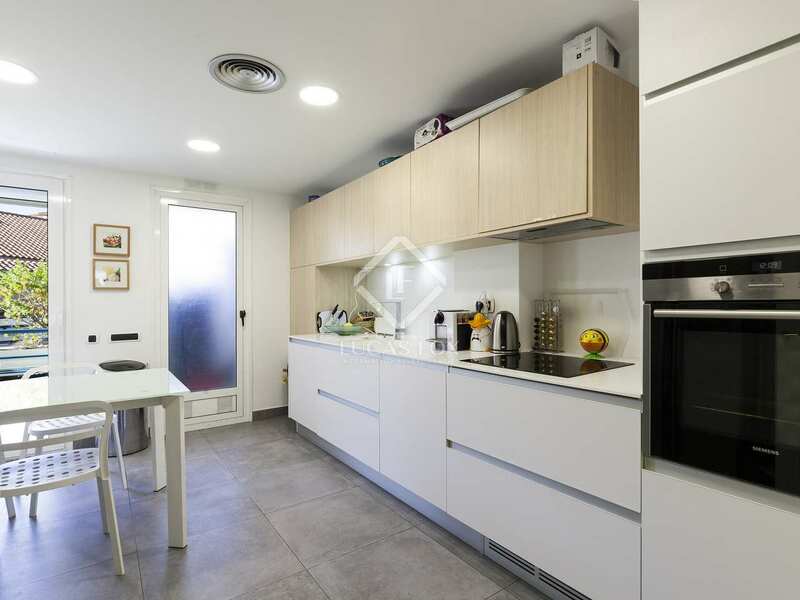 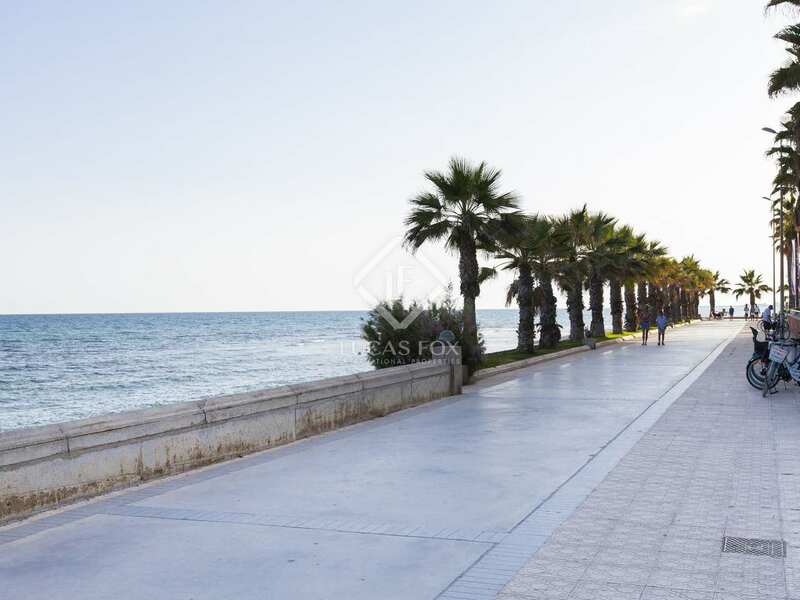 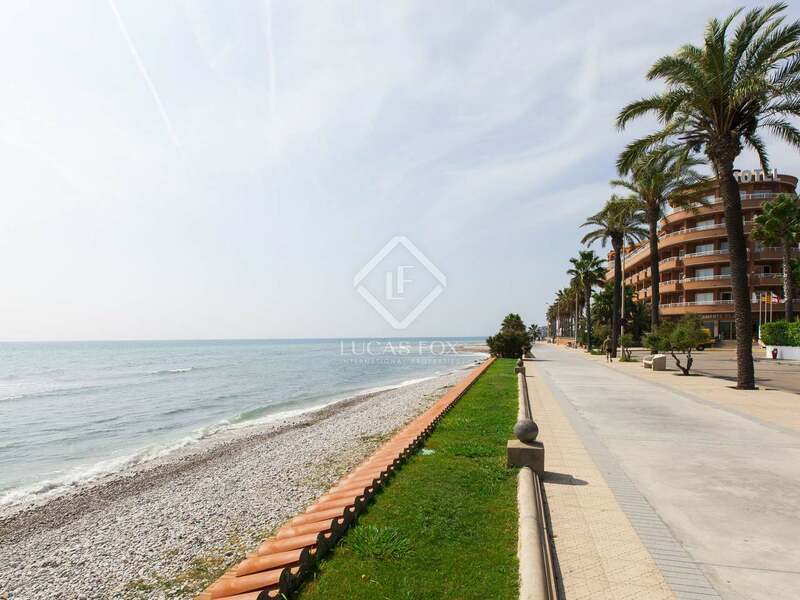 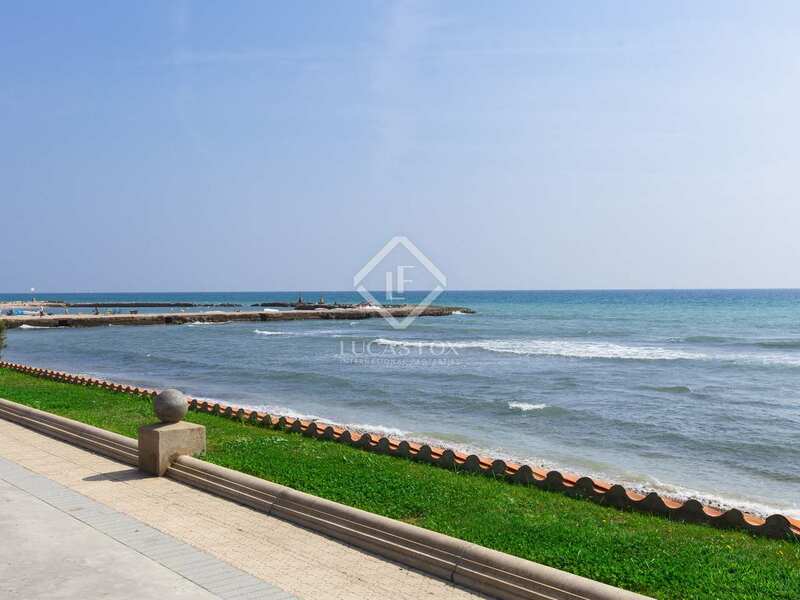 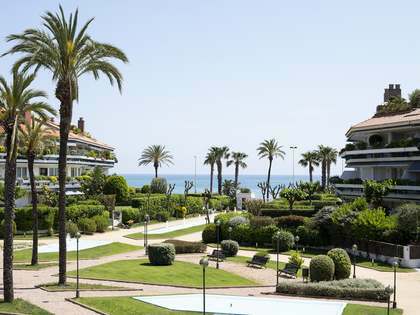 With the beach right in front of the complex and Sitges town centre just 20 minutes away on foot, this is an excellent place to establish a family residence or holiday home. 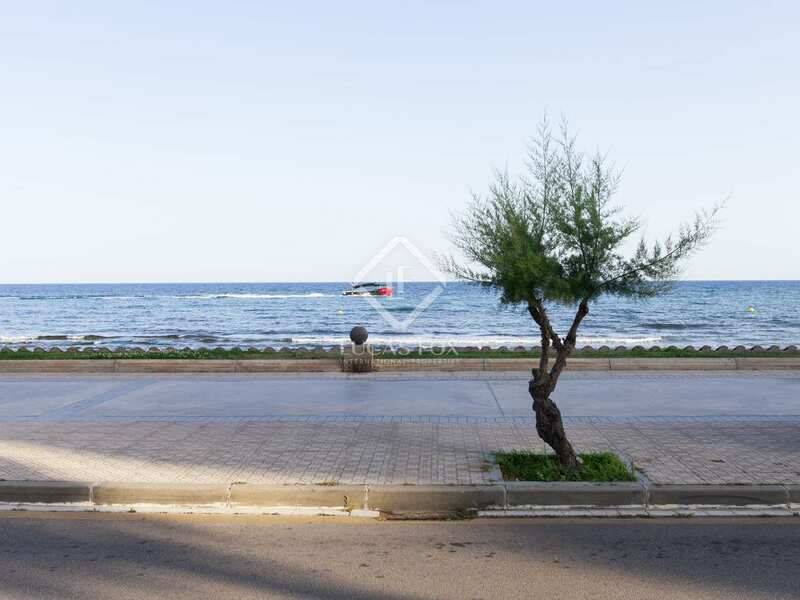 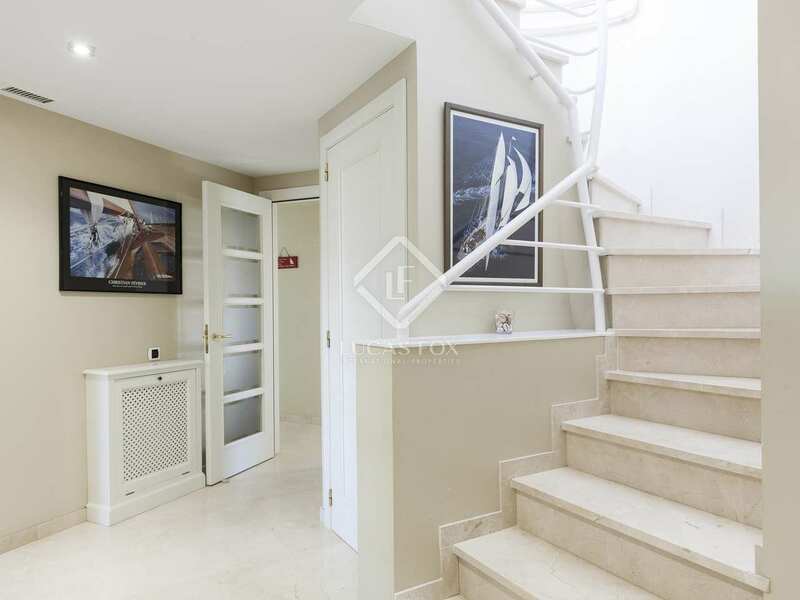 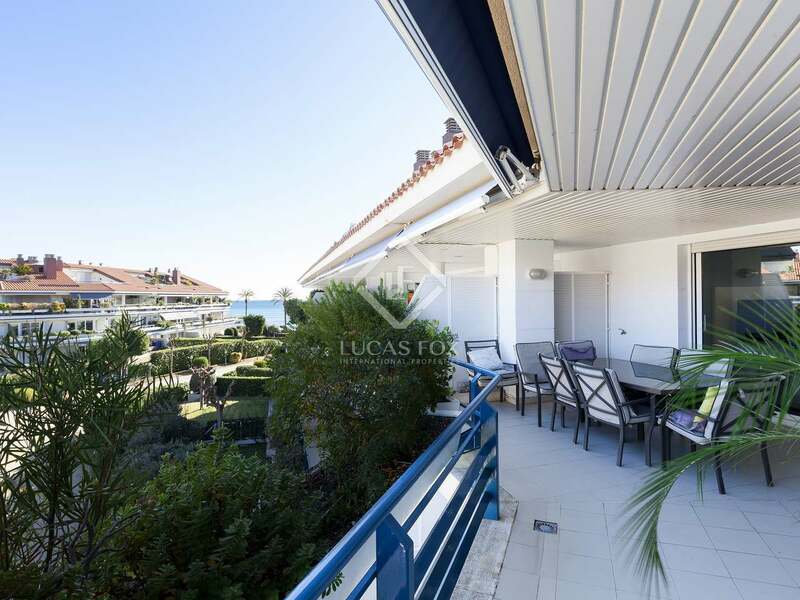 The duplex has recently renovated interiors with high quality materials such as marble flooring throughout, 3 terraces and attractive views of the water features in the complex, as well as lateral sea views. 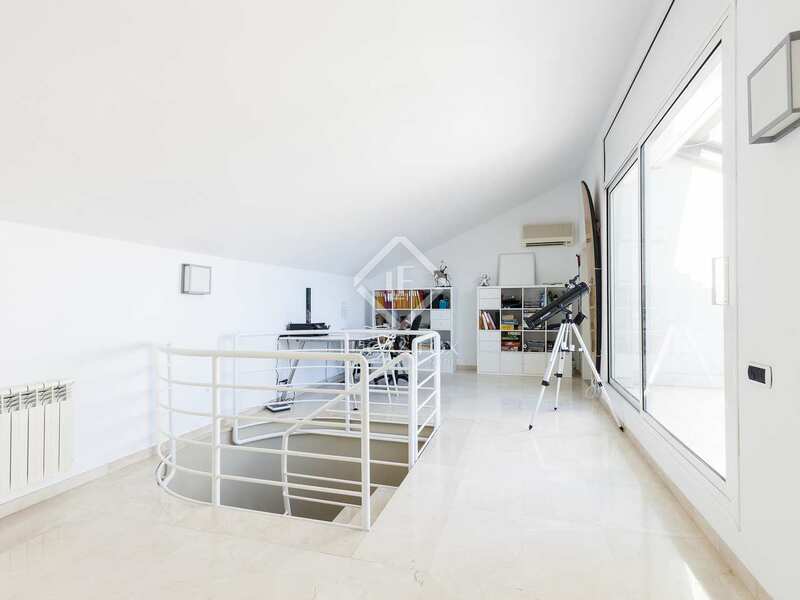 We enter the property on the lower level. 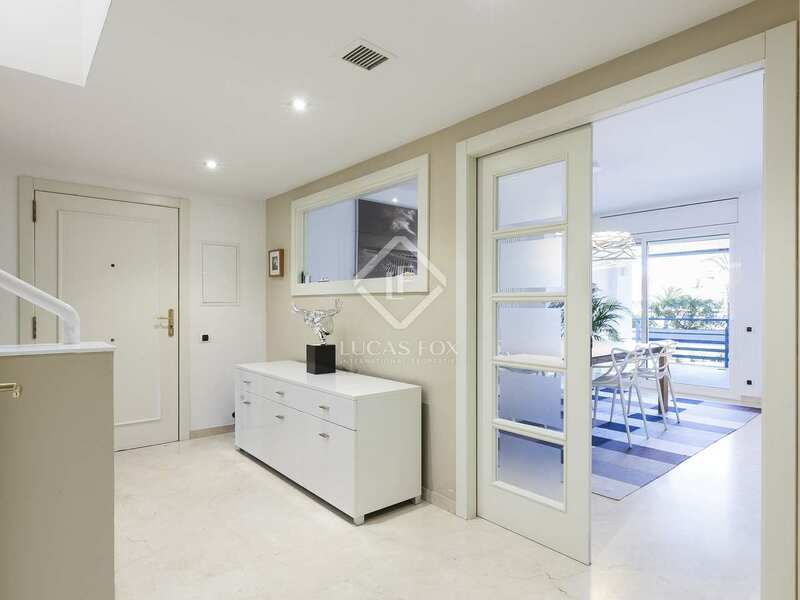 To the right of the large entrance hall we find the spacious kitchen diner which has been newly refurbished with Corian surfaces and induction hob and leads to a separate utility room and one of the terraces. On the left side the entrance is the spacious, airy living room/dining room with glass patio doors out to the second terrace which is covered and provides plenty of space for outdoor dining. 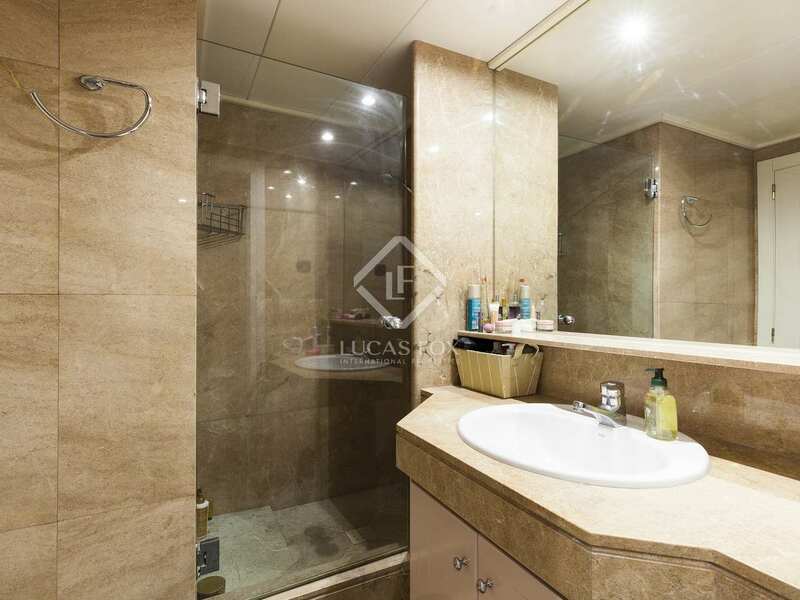 A corridor takes us to 3 double bedrooms and 2 separate bathrooms; one with a large shower and the other with a bathtub. 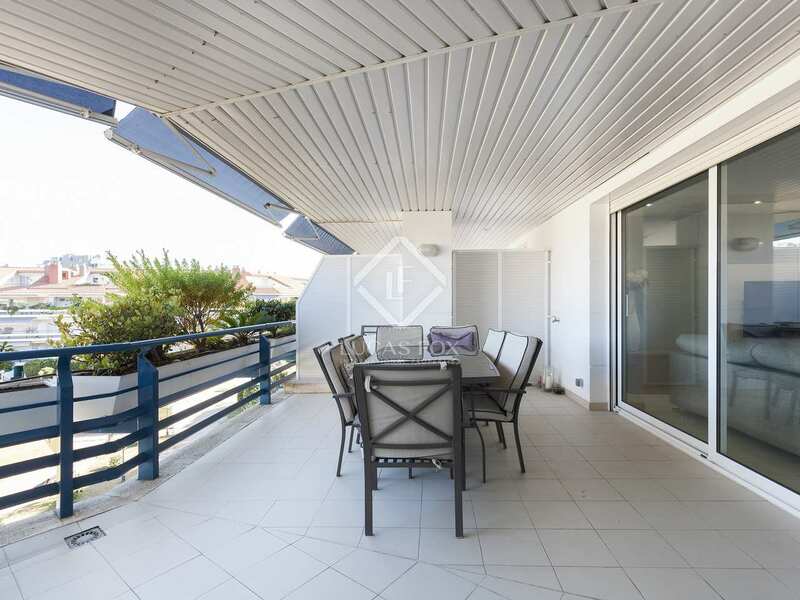 All 3 bedrooms have access to the terrace. 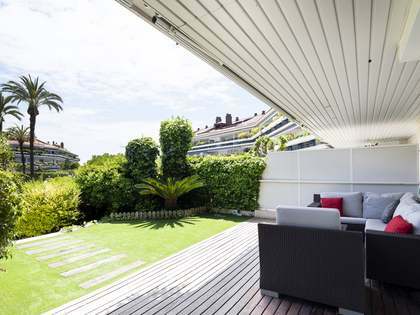 Upstairs is an extra living space which opens up to the largest of the 3 terraces; ideal for sunbathing. 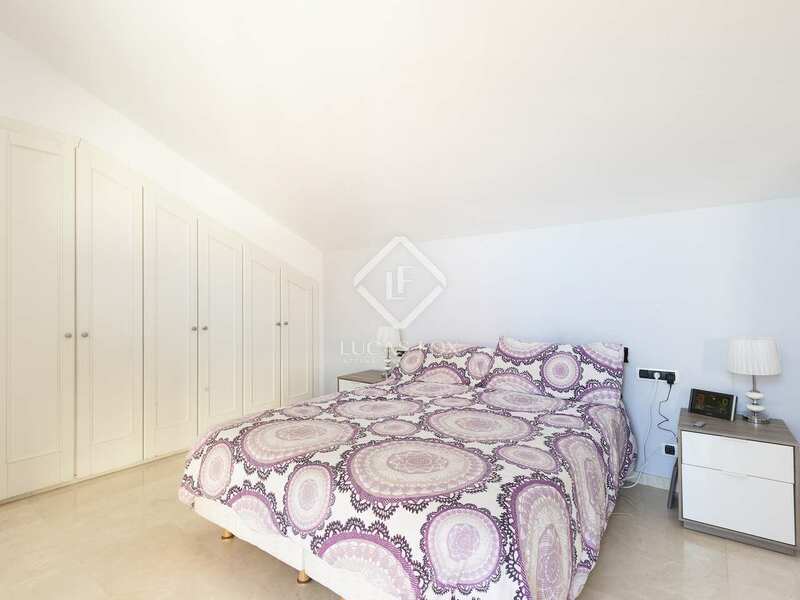 Also on this level is the attractive master bedroom with a sloping ceiling, fitted wardrobes and a large en-suite bathroom with a shower. 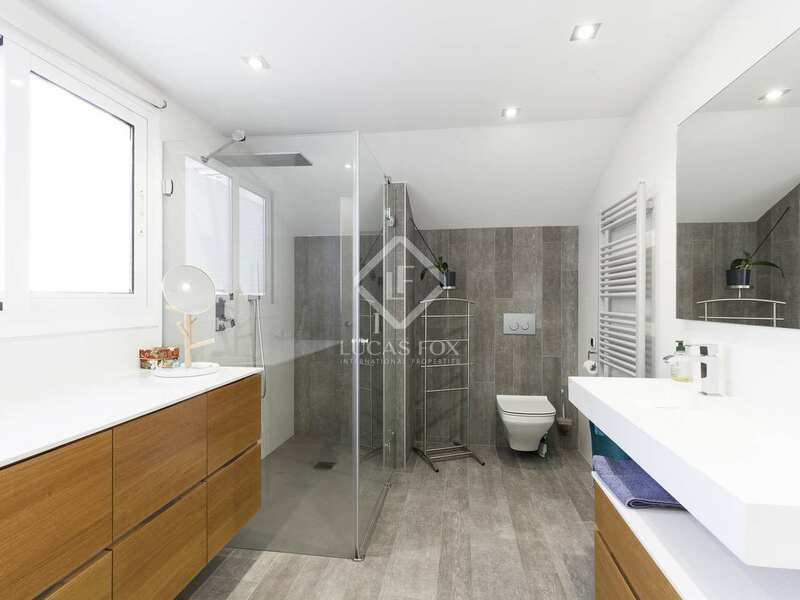 This level of the house provides additional storage space and it would be possible to create a fifth bedroom here if required. 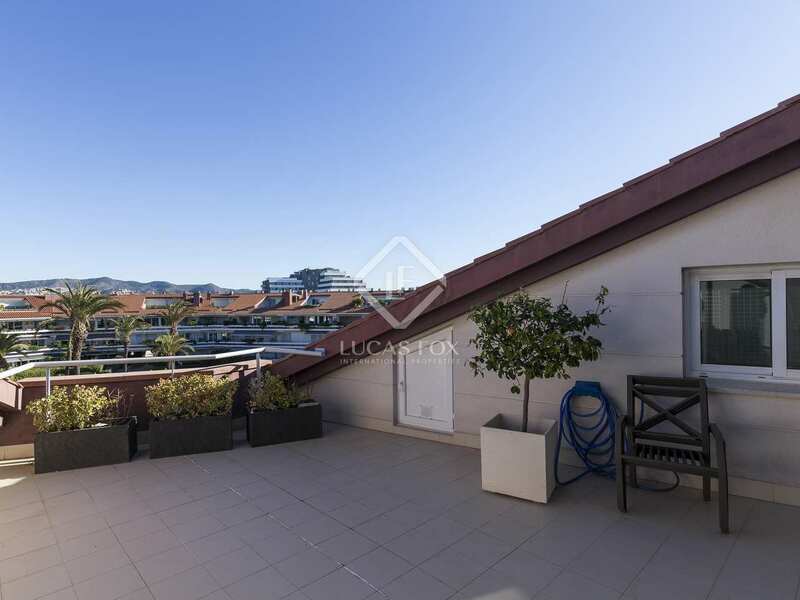 Additional features included in the property are 2 parking spaces and a lockable storage room in the building. 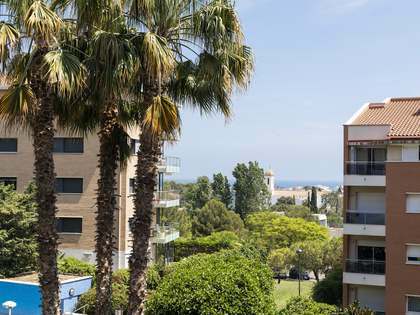 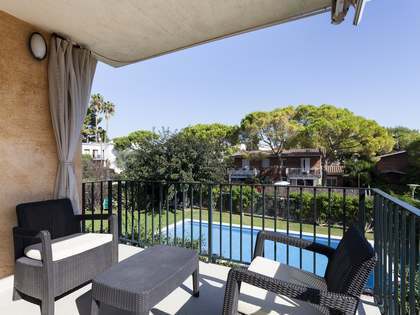 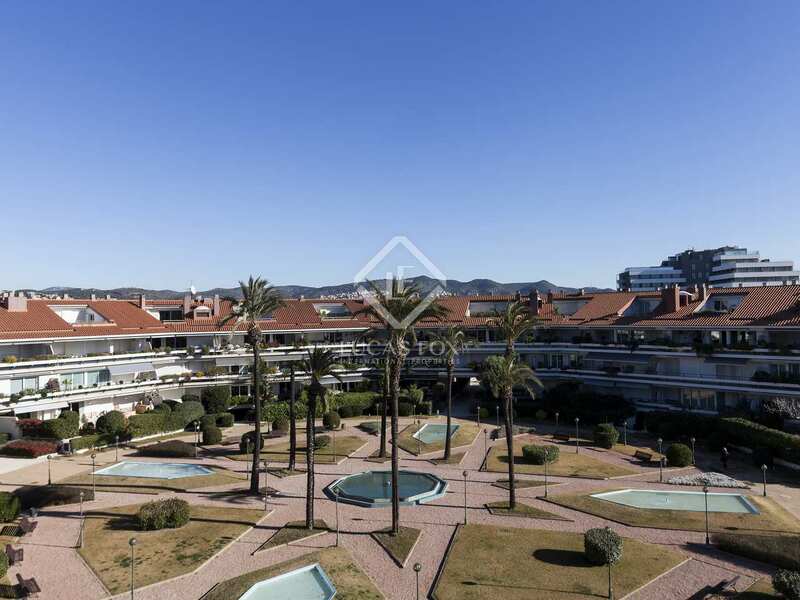 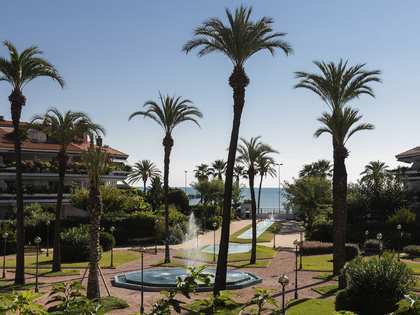 This complex is in high demand for long term rentals, making this a great long-term investment as well as an ideal family residence or second home by the sea.